Refer to the GSCopyPro Admin Guide for more details. GSCopyPro does NOT require installation. It only requires that you have Microsoft .NET Framework 4 Client Profile installed on the machine that will be running the GSCopy. .NET Framework 4 can be downloaded from Microsoft's website at this link: http://www.microsoft.com/en-us/download/details.aspx?id=24872. NOTE: Windows 8 and Windows Server 2012 already come preinstalled with Windows .NET Framework 4 so GSCopy will work on them with right out of the box with no prerequisites. 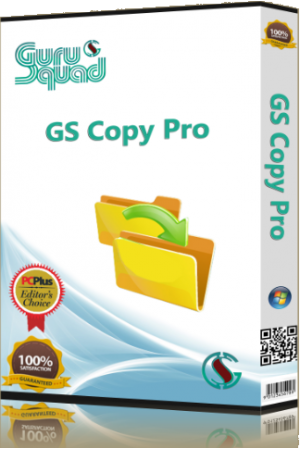 It is worth noting that gscopypro can copy open files that are local to the server\ workstation. If the open files are hosted on a remote machine then open file copy may not be as successful. system administrators are likely to have active at any given time, rather than the total number of GSCopyPro jobs scheduled to run in the environment.